Dr. Brewer is an ocean chemist, and Senior Scientist, at the Monterey Bay Aquarium Research Institute (MBARI). Prior to joining MBARI in 1991 he spent 24 years as a researcher at the Woods Hole Oceanographic Institution, rising to the rank of Senior Scientist. He served as Program Manager for Ocean Chemistry at the National Science Foundation 1981-1983, receiving the NSF Sustained Superior Performance Award. He has taken part in more than 40 deep-sea cruises and also has served as Chief Scientist on well over 100 ROV dives, and has served as Chief Scientist on major expeditions worldwide. He is a Fellow of, and the 2016 Maurice Ewing Medal awardee, of the American Geophysical Union and of the American Association for the Advancement of Science. Internationally he has served as a Lead Author for the 2005 IPCC Special Report on CO2 Capture and Storage, as a member of SCOR, and as Vice-Chair of JGOFS. He has served as a member of the Vice-President Gore’s Environmental Task Force, and was a member of MEDEA. He served as President of the Ocean Sciences Section of AGU from 1994-1996. Dr. Brewer holds a “By Courtesy” appointment in the Stanford University Dept. of Geological and Environmental Science. In 2010 he received the Zheng Zhong Distinguished Visiting Fellowship from Xiamen University, and a UK Royal Academy of Engineering Distinguished Visiting Fellowship. He is appointed as an independent scientist to the BP Gulf of Mexico Research Institute (GoMRI) Board overseeing the research devoted to the impacts of the Deepwater Horizon oil release. In 2012 he received an Einstein Visiting Professorship from the Chinese Academy of Sciences, and was made an Honorary Professor at Northwestern Polytechnical University, Xi’an. He serves also on the Major Projects Review Board of the Hong Kong University Grants Committee. In 2018 he was presented with the International Scientific Cooperation Award by the Chinese Academy of Sciences. At MBARI he served as President and Chief Executive Officer from 1991-1996, completing major laboratory and SWATH ship construction programs and doubling the size of the Institution, before returning to full time research. His research interests are broad, and include the ocean geochemistry of the greenhouse gases. 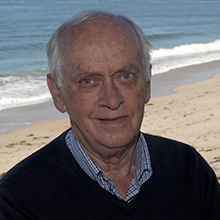 He has devised novel techniques both for measurement and for extracting the oceanic signatures of global change. 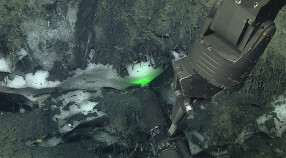 At MBARI his current interests include the geochemistry of gas hydrates, the bio-geochemical impacts of the growing oceanic fossil fuel CO2 signal and the multiple impacts of ocean acidification, and the development of in situ laser Raman spectrometry techniques for real-time measurement in the deep-sea. He served as co-Chair of the NSF Decadal Report Ocean Sciences at the New Millennium, and on the US National Methane Hydrates Advisory Committee, and on the IPCC WG II Fifth Assessment Report. He is author, or co-author, of over 170 scientific papers, and the editor of several books.